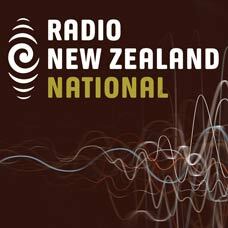 DigitalNZ brings together more than 30 million items from institutions such as Morning Report, Radio New Zealand so that they are easy to find and use. We added this one from this URL on 11 September, 2018, and last updated what we know about it on 17 September, 2018. This item is an audio clip. It was created by an unknown creator on or around the date 09/09/2018. It's Te Wiki o Te Reo Māori. Ko te aronga o te wiki o te reo Māori, kia hōrapa te reo i roto i ngā āhuatanga katoa i ngā mahi ia rā ia rā. On Morning Report we will be interviewing some of the key players in the preservation and resurgence of te reo Maori. We talk to Dame Rangimarie Naida Glavish who has played a hugely important role in Māori in education and health, but is also famous for fighting for te reo. In 1984, when she was a telephone operator for the New Zealand Post Office, she would greet callers with "kia ora", and was threatened with losing her job for doing so. She refused to back down. Dame Naida joins Guyon Espiner in the studio.